The modern tropical style can make any home feel like a rest house by the beach. Wooden furniture, woven pieces, and natural touches can help create a relaxing and refreshing feel in your personal space. 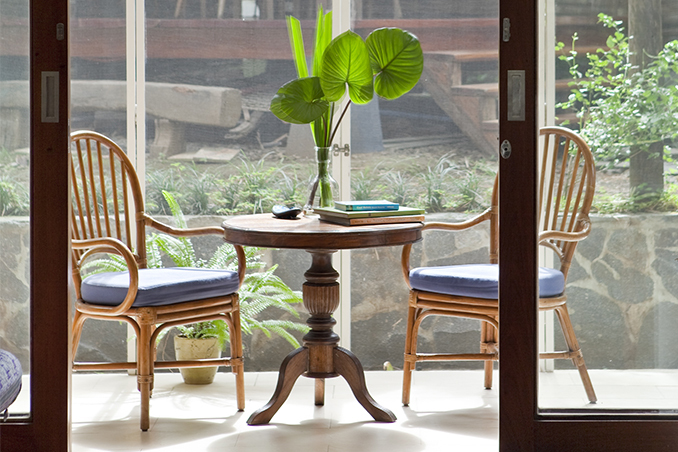 If you love modern tropical design, you may want to check out the Quezon City house of Monette Flores. Monette hired workers from Camarines Sur to install recycled wooden planks from a demolished old school in Taytay, Rizal. The place is completed with interesting furniture and accessories.